On Sunday My Hubby, Baby and I headed to Hungerford. I had entered a cake in their bake off competition (it was my first time 😉 ), as it was something on my 2013 Bucket List. 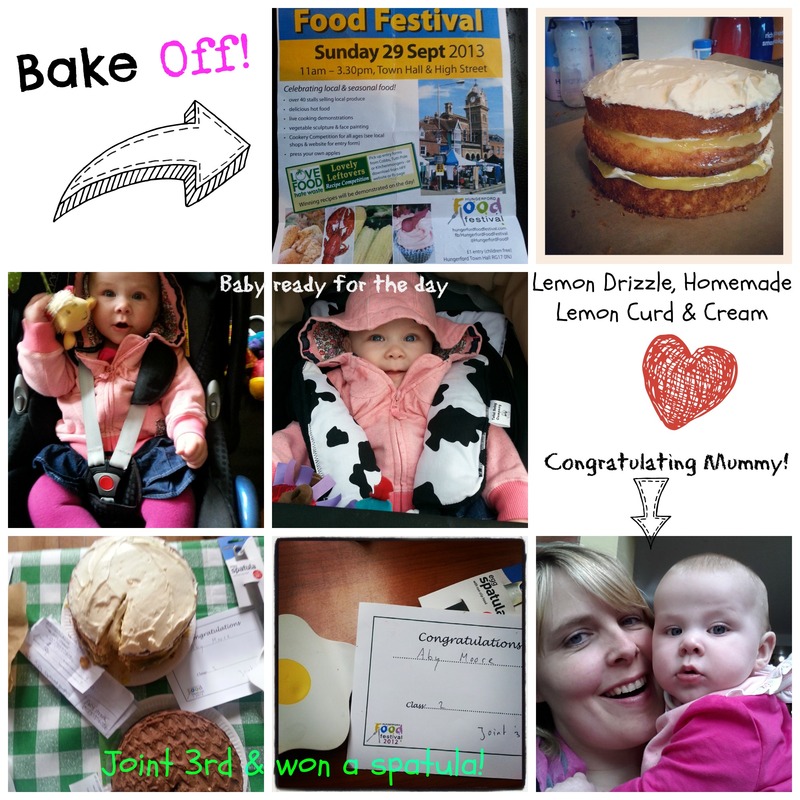 I love the idea of baking competitions and have never had the time to do it before, but now I am on maternity leave I thought I would give it a go. I made the cake on Saturday and also made the Lemon Curd to go in it (yummy). I have made this cake a few times before and it always goes down well. The category was Sweet – Eggs and Flour, so it was open to interpretation and I didn’t know if people would enter very designed cakes. My offering is much more homemade and rustic! But I was very happy to come joint 3rd and I even won a little prize (an egg spatula). Baby was a very good girl and gave Mummy a congratulatory hug.